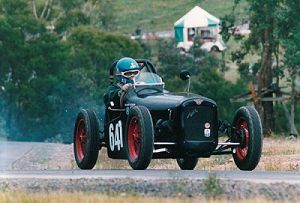 Born in Preston, Victoria in 1950, Leon Sims had a passion for cars from the time he was a young child. His father would play a game of "name that car" on family drives. A series of Citroens, Fiats, Studebakers and Chevrolets flowed through the Sims family garage over those early years. Leon's first cars were influenced by those childhood years, with a Renault Dauphine and his first Citroen Traction Avant. The Citroen led him to becoming a member of the Citroen Car Club of Victoria and then a founding member of the Classic Citroen Owners Club of Australia. Terms of editor were served with both clubs. During the mid-70s an MGB was purchased, followed by an MGA, ZB Magnette and then a couple of Alfa Romeos. During this time an association with the MG Car Club Victoria began. Being elected to the MGCC Committee in the early 1980s, he served twelve years in various positions. 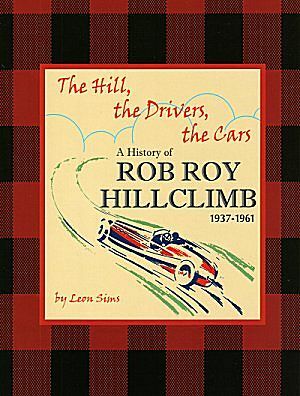 Two roles that generated this book were the positions of editor of the club journal, Wheelspin, and that of founder of Friends of Rob Roy.